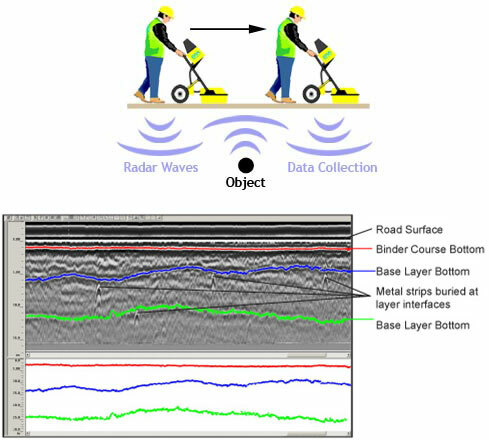 Ground-Penetrating Radar or Ground Probing Radar (GPR) is a geophysical method which is used to pinpoint the location of buried objects. It uses radar pulses to image the subsurface. 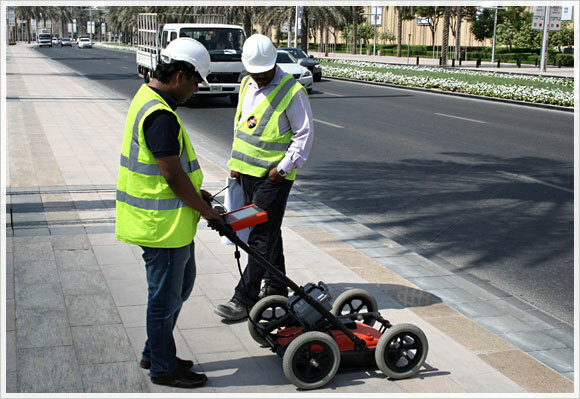 GPR detects non-metallic as well as metallic pipes (unlike conventional metal detectors). Providing a precise representation of underground piping, it makes the job easier in the long run. 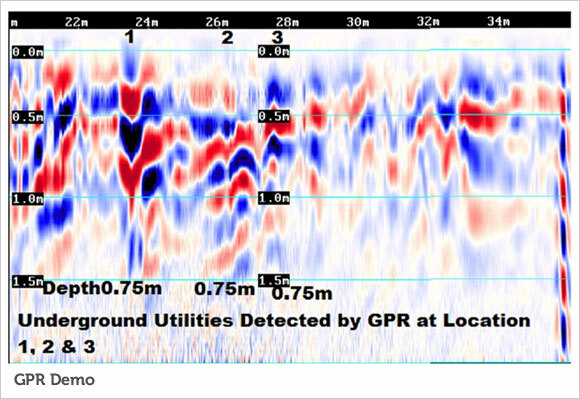 Void spaces can also be detected by GPR. A radar record gives a permanent detailed picture of the location, depth and size of an object. GPR sends a tiny pulse of radar energy into a material. Afterwards GPR records the strength and the time required for the return of reflected signal. A series of pulses over a single area forms a scan. Both two and three-dimensional images of what lies below the surface can be produced. 1. When a non-invasive method is needed. Existing designs, poured cement, lane striping and more are all bad reasons to anticipate where piping may be located, under the surface. 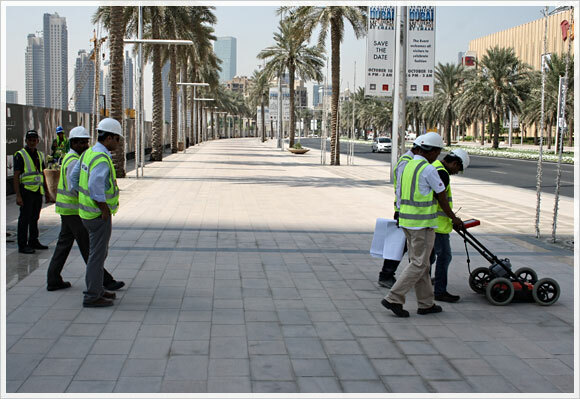 Ground penetrating radar creates a picture, giving accurate information of what lies where, under the surface. 2. New construction. GPR can locate old pipes and prevent expensive ruptures. 3. Finding municipal pipes, water supplies, old tanks and drums, voids in the ground. Without a GPR, a time-consuming search and peck method would need to be used to find what you’re looking for…and you may not find it at all. 4. Detection of old tanks. According to the plans, for instance, there is an old oil tank but it is not where it is indicated. GPR can find the mislaid tank. 5. Locating rebar. GPR can easily find metal rebar embedded in cement. 6. Unreliability of existing plans. Can you rely on fake “as-built” drawings when the stakes are high? 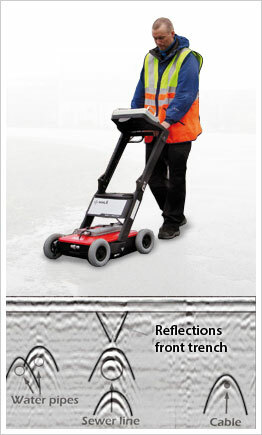 Be safe; let the ABC Surveys and GPR service tell you the real story of what is below the surface.